Purchasing motorcycle insurance may seem like a speed-bump on your way to the open road, but to keep your riding days legal and to protect yourself in case of an accident, it is an absolute must. In many cases, you can get your motorcycle covered through national companies that offer car insurance. By doing your homework to get your application processed quickly, you will be on the road in no time. 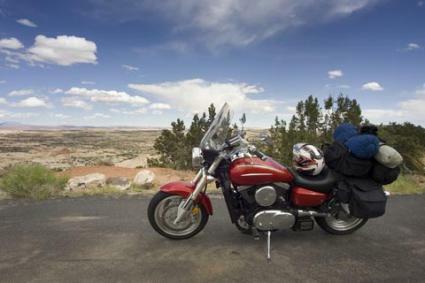 Just like car and boat insurance, each state determines its own coverage requirements for motorcycles. Many insurance companies can help you follow the requirements for your state, but you may also want to check with your Department of Motor Vehicles or Department of Insurance to find out exactly what you need. Bodily injury: This coverage pays for injuries to another person if you cause an accident. It should also pay for legal fees if the accident goes to trial. Property damage: This liability requirement protects against costs you may incur if your motorcycle causes damage to another vehicle or property. It is important to remember that if you cause an accident, you can be held liable for a financial sum greater than the limit you carry on your bodily injury and property damage coverage. For example, some states only require you to carry $5,000 of property damage insurance. If your motorcycle hits an expensive vehicle or a residence, the cost of repairs could go a lot higher than $5,000, leaving you to pay the difference or face the owner of the damaged property in court. Talk to your insurance broker about the difference in rates if you raise your liability limits. Uninsured Motorist Coverage: Although everyone is legally required to have insurance, not everyone does. Uninsured motorist coverage pays for your medical care or property damage if you are in an accident caused by a motorist who does not have adequate insurance. Even though this is optional insurance, your insurance company may be required to at least offer it to you. Guest Passenger Liability Coverage: If you often have another rider on your bike, you may want to consider getting liability coverage for them in case of an accident. Since your motorcycle insurance only covers people in other vehicles, your passenger may be left without any financial help if he or she needs medical treatment. Collision and Comprehensive Coverage: If your bike is stolen or suffers damage due to an accident, vandalism, or weather, this extra provision will take care of repairs. A deductible usually applies, which can affect your monthly payment. Roadside Assistance and Towing Costs: Just like an auto club, this insurance extra takes care of any costs related to having your bike towed. Getting a battery jumped, a flat tire replaced, or even getting pulled out of snow is also usually covered. One of the great things about insurance, besides the financial protection it provides, is that there are ways to keep your monthly premiums down. Many insurance companies will give discounts for having more than one motorcycle on the same policy or if you also insure a car or your home with the same company. Taking a riding course from the Motorcycle Safety Foundation can also help you lower your insurance rates for up to three years or you may be able to pocket some extra cash by showing proof of membership in a motorcycle association. Many organizations, like the American Motorcycle Association and the Harley Owners Group, can earn you a 10 percent reduction in your premiums. Some companies even offer special insurance policies for leisure bikers who do not ride much in the winter, which saves you from paying insurance on the months when your bike is parked in your garage.